Barcelona coach Ernesto Valverde is confident his side can cope without Neymar against La Liga champions Real Madrid in the Spanish Super Cup. 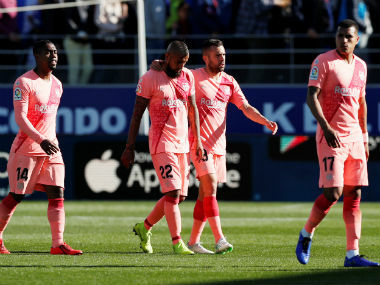 Paris Saint-Germain raided Barcelona for the Brazilian winger earlier in August, leaving the Catalans with 222 million euros ($262.32 million) but a gaping hole in their strike force. 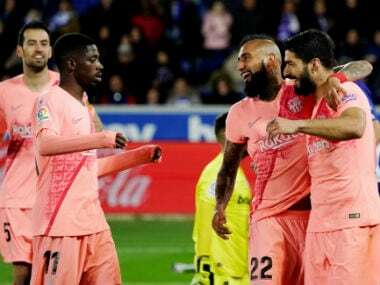 Barcelona take on rivals Real on Sunday in the Super Cup first leg with no replacement yet for the Brazilian striker — although media reports have linked them to Borussia Dortmund's Ousmane Dembele and Liverpool's Philippe Coutinho. "For Neymar's absence I have a lot of players who are ready to play," Valverde told a news conference on Saturday. "You have to look forward, not back." The former Athletic Bilbao manager, however, doubts whether Gerard Deulofeu is ready to fill the gap following his recent return from injury. Barcelona brought Deulofeu back from Everton this summer but he missed the club's pre-season tour with a reported muscle strain and has featured in only one friendly. "I like the understanding between Deulofeu with (Jordi) Alba and (Lionel) Messi, but we only have one reference point, the Gamper (trophy) against Chapecoense. 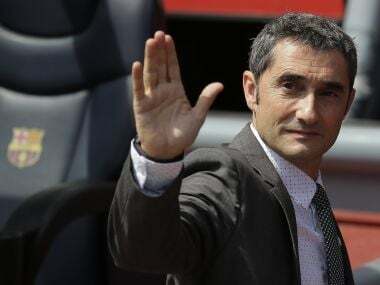 It's very soon," said Valverde. Instead the coach might look to Paco Alcacer to play on the left, or change formation from 4-3-3 to 4-4-2 to match Real Madrid, and incorporate an extra midfielder, which could be Sergi Roberto, whom Valverde praised. Replacing Neymar in the long term is a difficult task, though, and defender Gerard Pique told a news conference of his desperate attempt to get him to stay. Pique tweeted a picture of himself and Neymar with the caption, "he stays", little over a week before the Brazilian departed. "I don't feel tricked by Neymar. The day I said 'he stays' I knew that he was going 100 per cent. It was the final shot," said Pique. "He got angry with me but we worked it out. I did it to use my social networks to help this club to keep a player who has a unique talent. 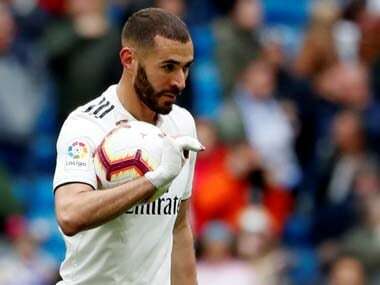 It was difficult but I tried to help my club."